When it comes to fitness, fact and fiction so often blur the lines making it not at all surprising that we feel utterly confused about how to get the best possible fitness results for our efforts. Should you stretch before or after a workout? What are the best rest times and rep ranges for muscle gain and weight loss? Can you isolate fat loss and which is better, cardio before or after weight training? Here are 5 of the most common questions i get asked as a personal trainer on a regular basis answered. It's much more beneficial to begin your workout with a dynamic warmup that mimics the movements you'll make during your workout but at a lower intensity. Always start light and incrementally increase the intensity as your muscles warm up. This form of warm up will help improve performance and reduce your risk of injury. After a workout is the ideal time to stretch. You're more flexible and have better circulation following exercise as your muscles and joints have time to fully warm up and go through their full range of motion. Not only is stretching a nice relaxing way to finish a workout, it'll help improve flexibility and reduce muscle soreness in the hours and days following a workout. Rep ranges. Which is best? There is no definitive answer to which rep range is best. They're all good. However, which you choose to prioritise should be applicable to your overall goals. As a general rule, low range (1-5 reps) is ideal for strength gains, mid range (6-12 reps) is ideal for muscle growth and high range (15 + reps) is ideal for endurance. Note – For best all round fitness results, I recommend using a combination of the various rep ranges with the focus of your workout around the exercise(s) and the rep range which applies most to your goals. For example: if your goal is to increase your 1RM deadlift. Hit this exercise first with a low rep count when your energy is at its highest. You can then compliment this by using a combination of mid and high range reps for the exercises that follow. Think of it this way, the more variety to your workout, the more you'll ask questions of your body. The harder it has to work to adapt to the variety of training, the the better the results will be! Is cardio better before or after a workout? While there are some claims that strength training followed by a cardio workout creates a better environment for burning fat (due to depleted glycogen stores - the energy stored in your liver and muscles), there are quite a few variables that can directly effect this. As mentioned above, I recommend always starting your workout with the sort of exercise that is most beneficial and important to your specific goals. This is because you tend to be more focused and energised at the beginning of a workout. If your main goal is to increase endurance and/or to lose weight, Aim to prioritise cardiovascular exercise first. If your main goal is to increase muscular size and strength, I recommend starting your workout with weight training. Can I isolate fat loss on my belly, thighs, arms etc? It's not uncommon to want to lose fat in specific areas of our bodies. Unfortunately there is no way to isolate fat loss from our bodies. While you can improve the shape and appearance of certain body parts with exercises specific to these areas, if you want to lose the fat covering these body parts, you're going to have lose it all over. And that means working out regularly, eating healthy food and creating a calorie deficit large enough to promote weight loss. For healthy and sustained weight loss, I recommend aiming for a deficit of 500 calories a day. How much time should I rest between sets? When training for maximum strength, the body draws most of its energy in the form of creatine phosphagen stores (the predominant energy source for very short burst of all-out effort). By allowing ample time between sets (2-5 minutes), you'll allow enough time for these stores to fully replenish allowing you to lift more weight and get stronger faster. When training for muscle growth (hypertrophy), the body draws its energy from the ATP-PC and glycolytic systems. Consider the two working in tandem like a hybrid car. 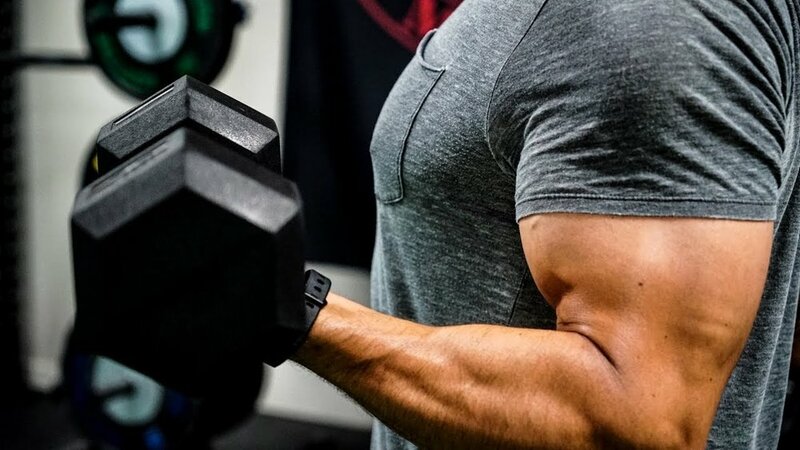 Because you have a more steady supply of available energy, you don't have to rest as long between sets as you would when training for maximum strength. 1-2 minutes is enough time to replenish the energy stores allowing you to maintain intensity and strict form. The goal of endurance training is to make your muscles more resistant to fatigue. By keeping your rest times shorter, your body will become more efficient at clearing lactic acid thus improving your lactate threshold. Both of which will improve your endurance based performance. 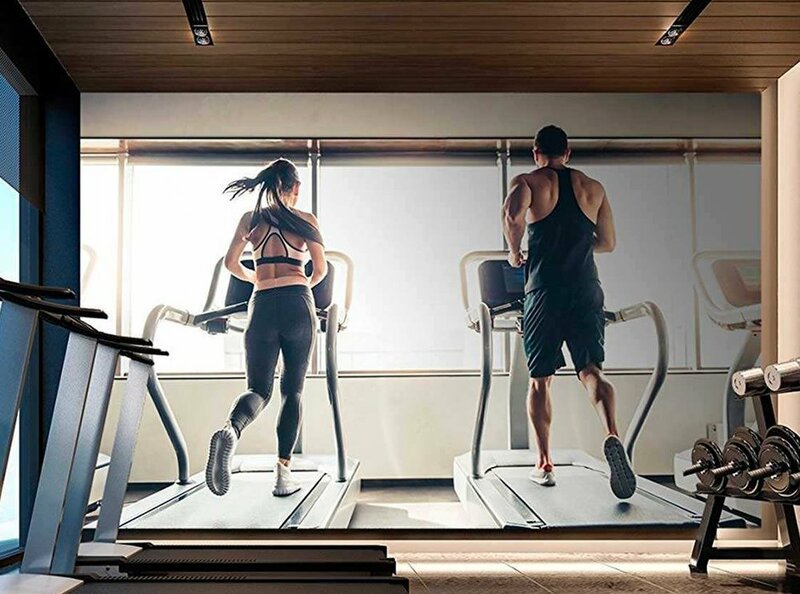 While there are many different ways to effectively burn fat, one of the most popular and effective methods is high intensity interval training or HIIT. The goal of which is to push yourself as hard as you can during short intense intervals. This style of training accumulates an oxygen debt which promotes EPOC (excess post-exercise oxygen consumption) following your workout. EPOC is when your body begins to replenish energy resources, re-oxygenate the blood and begin to repair the damage caused to your muscles during the workout. By keeping your rest times as short as possible, you'll create a bigger oxygen debt which will not only help burn more calories and fat during your workouts, you'll continue to burn calories for up to 24 hours following your workout. While the different aspects above are worth considering when building a workout plan, what's by far the most important is that you train consistently with intensity in conjunction with a healthy and balanced diet. The finer details, such as rest times and rep ranges can be tweaked and experimented with as your fitness level and experience improves. Older Post15 Best Fitness gift ideas for 2018/19 – His and hers.